Sprint Officially Announces BlackBerry Pearl | BlackBerry Blast! 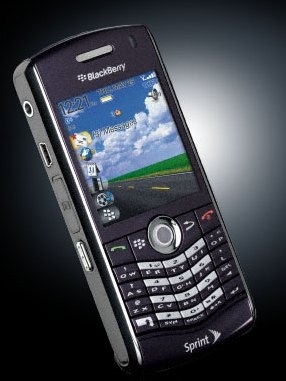 Sprint has officially announced the BlackBerry Pearl 8130. The BlackBerry Pearl will debut on Sprint's network sometime in November. "The Pearl 8130 is the best BlackBerry candy bar form factor ever launched by Sprint," said Danny Bowman, vice president of customer equipment for Sprint. "Operating on the Sprint Mobile Broadband Network, the BlackBerry Pearl 8130 combines advanced smartphone features in an innovative design so customers can leave the laptop behind and live large, all at SprintSpeed�." Users can signup to receive an email notification when the BlackBerry Pearl becomes available. See the link below for more information.